Samsung Galaxy S4 was an extremely hot device in its era because of its unique features like the large display screen, processor, design, and everything make Samsung Galaxy S4 something different than any other smartphones. And even now, there are plently more phone users own a Galaxy S4. They chat with others via text messages on their phone. However, many of them run into the trouble of losing important text messages. 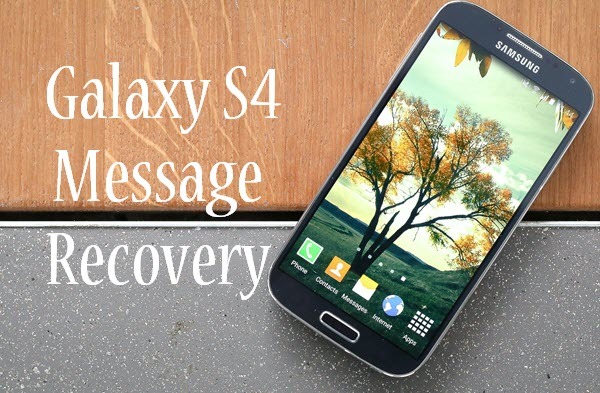 Samsung S4 SMS recovery becoming a hot issue. So, what would you do if you suddenly lost all your messages due to some certain reasons? Maybe you never think of that question before. But there is a really such thing. Here I will tell a real story happened on one of my friends. Tip: Know more about how to schedule text messages on Android phone. Don’t worry, the end of the world is not coming. So long as the deleted text messages haven’t been overwritten, you still have chance to get them back. Here are two ways to recover Samsung Galaxy S4 messages. Note: After deleting, please don’t make any operation on your phone in case the deleted SMS would be overwritten and could not be recovered. Luckily, Google can backup information, like contacts, App data, messages, pictures etc on your Android phone. As long as your messages have been synced with your Google account before, you will surprisingly find all your SMS are there even after you deleted your messages inadvertently. 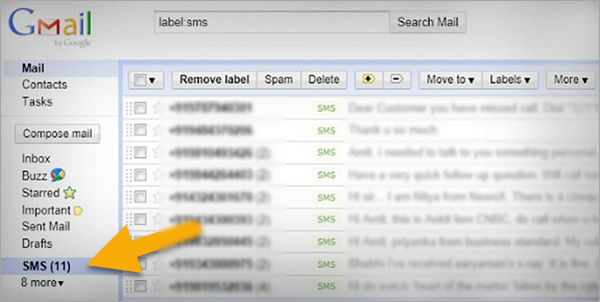 To get your backed up messages, you just need to log into your Gmail account and then open the SMS tab located on the left panel. Other important Android data, like contacts, photos, videos, audio files, etc, can be synced to your Google account as well. If they are lost, you can get them back with this same method. Tip: If you have a trouble in syncing files to Google, you can fix the issue that Google backup not working on Android with solutions here. Still, here is another reliable way to recover deleted text messages from Samsung Galaxy S4 if you haven’t backup any data to Gmail or elsewhere. Actually, the messages are not immediately deleted from the SIM card or memory card once they are deleted, so it is still possible to recover them with some Android recovery tools. 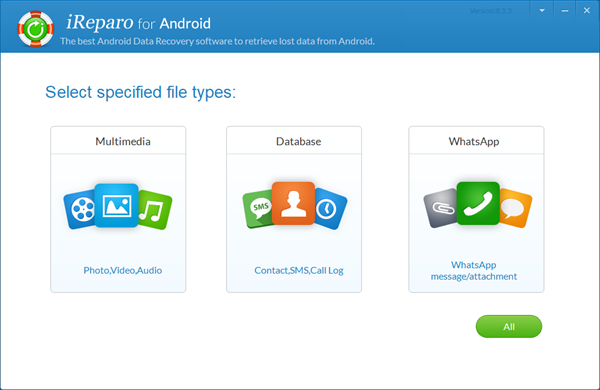 Directly recover deleted messages from Android phone with full information such as name, phone number, date, email, message contents with attached images, and more. And the deleted messages will be saved as CSV and HTML files for your use. Beside recovering text messages, it can also get back lost or deleted photos, videos, audio files, contacts, call history, whatsApp, Viber, and documents from Android phone internal storage and SD cards. Selectively choose any kind of data to scan and recover. Users can even preview the scan result before upgrading to the pro version. Recover the lost data for Android phone due to accidentally deletion, factory reset, system crash, virus attack, flashing ROM, rooting, ect. Almost all popular Android smartphones and tablets are supported, such as Samsung, HTC, LG, Huawei, Sony, Xiaomi phone, and etc. Step 1. 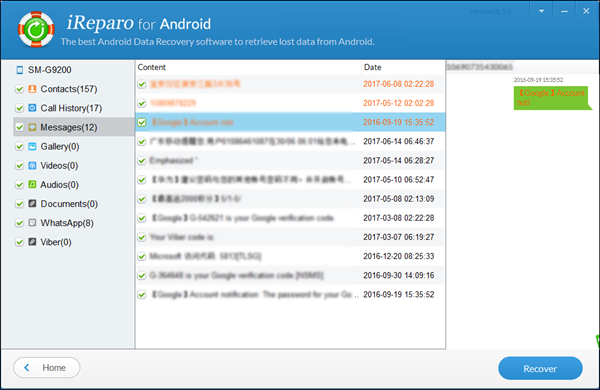 Download, install and run Jihosoft Android Data Recovery program on your computer. Step 2. Connect Samsung Galaxy S4 to PC via USB cable. Please remember to enable USB debugging on your phone, or your Samsung device won’t be identified. If you haven’t opened the USB debugging option yet, this program will ask you to do it. Step 3. After your Samsung device is detected by the program, continue to click the “Start” button to let the program scans the lost SMS on your phone. Step 4. Preview the scan result, and restore deleted SMS from Samsung Galaxy S4. If you have problems with the process of Samsung Galaxy S4 message recovery, please don’t hesitate to leave your comment and we will help find the solutions for you.